Recent Material Fair Value Estimate Changes - Valuentum Securities Inc.
Valuentum updates the 16-page reports and dividend reports of its 1,000+ company coverage universe on a rolling 3-4 month update cycle, on average, with the average age of each report currently at about ~2 months. We also refresh these reports in the interim (between scheduled updates) in the event material changes to companies within them are warranted. 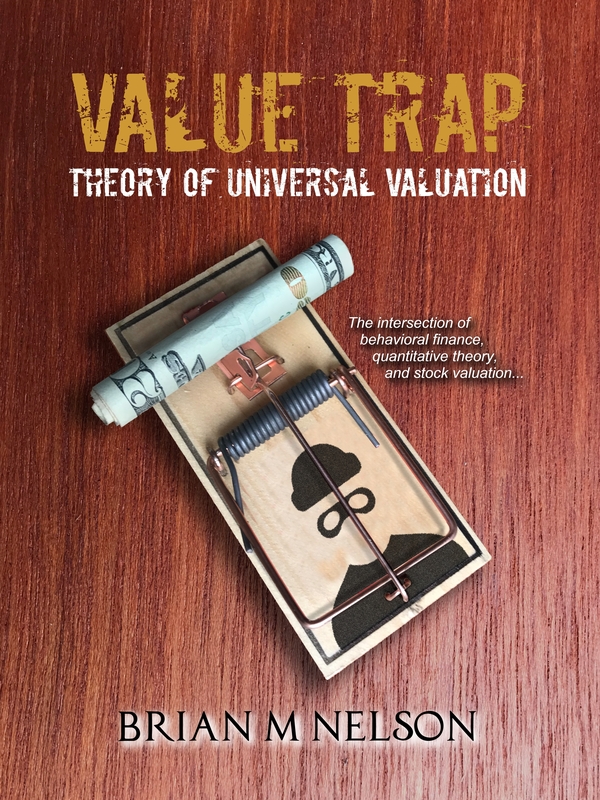 Because of this, readers should view our most recent fair value estimates, fair value ranges, and Valuentum Buying Index ratings as our present opinion, much like one might view the opinions of any other analyst’s work at the brokerages houses as their present opinion. A brokerage analyst’s price target and recommendation on the stock is what it is until that analyst changes it to reflect incremental information. Generally speaking, their opinion, as with ours, is not reiterated every day, as it is assumed that our latest work reflects our most recent thoughts. This is a very important point as you digest our research and analysis because we’re not a quantitative trading firm. That’s where our similarities end when it comes to brokers, however. Where brokerage analysts publish price targets and recommendations, we publish estimates of a company’s intrinsic worth and a rating system, fair values, and other metrics that should be used in the context of other sources of information, including your financial advisor. That said, let’s talk about some material changes in this December 17 edition of ‘Recent Material Fair Value Estimate Changes,’ beginning with the Independent Oil & Gas industry. The increases in our per-share fair value estimates across the Independent Oil & Gas group were largely driven by improved near-term expectations for the price of oil (USO) after the OPEC production cut agreement became official in late November. Since then, a group of non-OPEC producers, led by Russia (RSX), have also agreed to curb production levels, and while supply/demand dynamics will remain influx, things are looking up for energy resource pricing, at least for now. We adjusted a number of fair value estimates in the Industrial Minerals industry. In light of Trump’s victory in the US Presidential election, we now expect the values of many of these companies to be augmented in part by an increasingly more-relaxed regulatory environment and trade barriers that serve to support domestic coal production in the coming years, even as natural gas remains a lower-cost alternative. A couple companies that received material fair value increases thanks in part to our expectations for improved fundamentals as a result of the Trump administration’s plans to pursue protectionist trade behavior include Cloud Peak (CLD) and National Resource Partners (NRP). Separately, Hi-Crush (HCLP) stands to benefit as frac sand demand improves in light of more stable resource production environment for shale oil in the US, and we adjusted its fair value estimate upward, even though it is far below levels of just a few years ago. Our fair value estimate reduction for uranium producer Cameco Corp (CCJ), however, was an outlier in the industry. Even though demand for uranium remains robust, uranium prices remain at lows not seen in more than a decade. Conditions appear better than they were just a few months ago for a lot of industrial minerals firms, but we’re not willing to allocate a portion of the newsletter portfolios to this industry. Within the Nonalcoholic Beverages industry, we had two recent material fair value estimate changes, both of which were related to better-than-expected momentum in the business of smaller companies within the industry. Though National Beverage’s (FIZZ) shares are still extremely pricey relative to peers and short-interest remains heavy, strong progress in its business has led to materially increased near-term expectations, driving an increase in our fair value estimate for shares. In fact, the company’s fiscal 2017 second-quarter results, released November 30, concluded its “best ever six-month period,” and while we think the company is worth more than we did previously, we were a bit concerned about management’s overly-promotional language in the press release. As for the other material fair-value hike in this group, SodaStream (SODA) began its transition to a sparkling water brand in mid-2015, and after considering the momentum its business has generated through the first three quarters of 2016, we have revised our fair value estimate higher. In its third quarter, for example, revenue advanced nearly 13%, while EBITDA surged, and earnings simply blew past Street expectations. SodaStream has also been actively engaged in talks with Teleios Capital, an activist investor, and such a relationship appears to be helping. Though the trajectory of the fundamentals of these businesses is moving in the right direction, we still won’t be allocating any capital to these entities on the basis of valuation. Both National Beverage and SodaStream are likely takeout candidates, however, something that we have not included within the derivation of our standalone fair value estimates. We also changed the fair value estimates of two companies in the Specialized Semiconductor industry materially. We bumped up the fair value estimate of Cirrus Logic (CRUS) as a result of a better-than-expected pickup in demand for portable audio products (demand for audio and voice smartphones), a trend that management anticipates continuing through its fiscal 2018. Cirrus Logic is one of Apple’s (AAPL) most widely-known suppliers (nearly 80% of revenue), and Cirrus management’s commentary in its fiscal second-quarter couldn’t have been more upbeat, supporting our more optimistic near-term forecasts. Cirrus Logic has effectively grown with Apple in recent years, with revenue tallying more than $1.17 billion in fiscal 2016 from ~$175 million in fiscal 2009. We raised Nvidia’s (NVDA) fair value estimate as a result of better-than-expected trends toward “deep learning,” which is driving demand for its graphic processing unit (GPU) products. During the company’s fiscal third-quarter results, released November 10, revenue advanced 54%, while earnings per share surged above expectations. The company reported record revenue, record margins, and record earnings during the period, and we’ve ratcheted our near-term forecasts higher as a result. We tend to agree with management that its performance reflected a “breakout quarter,” and its outlook for its fourth fiscal quarter was far above our estimates. While we recognize both Cirrus Logic’s and Nvidia’s proficiency in capitalizing on current trends, the rapidly-evolving nature of the industries in which they operate are key risks (in addition to Cirrus Logic’s extreme customer dependence). 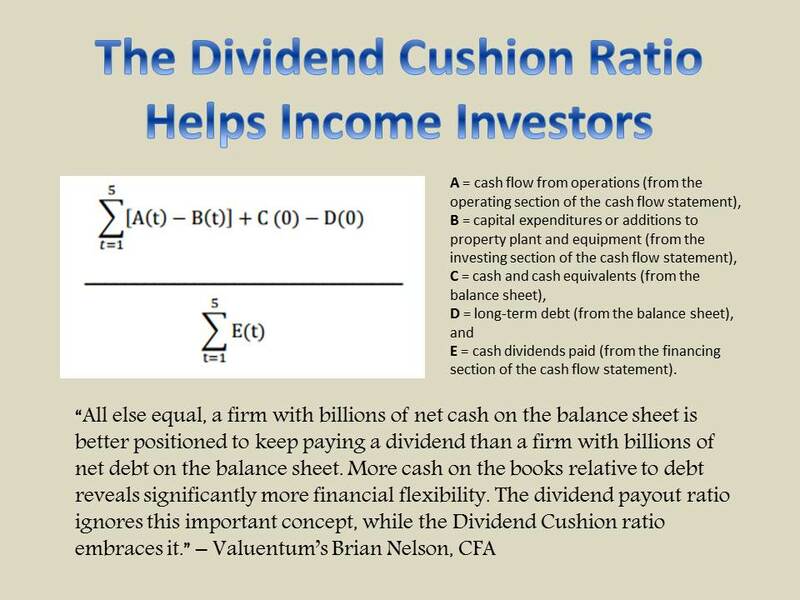 However, the net cash positions of both offer additional support to our recently-revised higher fair value estimates. In fact, Nvidia, has a massive net cash position to the tune of $6.7 billion that we like a lot. We increased outdoor product manufacturer Johnson Outdoors’ (JOUT) fair value estimate after raising our near-term earnings expectations November 26. The company continues to work to balance the profit contributions of its various operating segments, but despite our higher fair value estimate for shares, Johnson Outdoors continues to trade at lofty earnings multiples. We see little to no investment opportunity present at current price levels, and the company’s disappointing fiscal fourth-quarter results, released December 12, only reinforces this view. Total company sales dropped 12.5% in the most recent period, for example. We’ve upped our fair value estimate of casino operator MGM Resorts (MGM) on expectations for it to swing back to profitability in 2016 after reporting a loss in 2015 thanks to resurgence in gaming activity in Las Vegas, where it holds a leading market position. The gaming markets in Japan (EWJ) and China continue to evolve (Japan recently legalized casino gambling), and we’ll be closely monitoring the impact of both on casino operators. Within the IT Services industry, we’ve increased our fair value estimate of consulting and engineering service provider Tetra Tech (TTEK) thanks to better-than-expected momentum in its government-serving business. The company’s fiscal fourth-quarter results, released November 9, showed revenue increasing 26%, backlog surging 25%, and ongoing earnings per share advancing nearly 20%. Backlog came in at an all-time high in the quarter, and with the Trump administration planning to spend more on infrastructure, we think our fair value estimate revision for Tetra Tech is warranted. On the other end of the spectrum in the IT Services industry in terms of fair value estimate movement is provider of information technology and knowledge process outsourcing Syntel (SYNT). We cut the company’s fair value estimate after weaker-than-expected third quarter results, October 20. Revenue dropped 5% in the period, and gross margins faced pressure in what is typically a strong seasonal period for the company. Management noted that market conditions were challenging, and we’re not expecting much during the fourth quarter. A special $15 per share dividend also impacted our fair value estimate, dollar for dollar. There were a few other revisions that we want you to be aware of. We lowered our fair value estimate for specialty food retailer GNC (GNC) as greater-than-expected weakness in demand in its core vitamin business persisted. The company has rumored to be in talks with a potential Asian buyer, but the latest report is that any suitor may only be interested in its Asian operations. Things look bleak. Same-store sales at GNC fell a whopping 8.5% as revealed by its third-quarter report, released October 27, and we’re having a hard time pointing to tangible catalysts for the company to turn things around. Management thinks customers are confused regarding product pricing, but we think there may be more to it than that. We also reduced our fair value estimate of pharmaceutical distributor McKesson (MCK) on account of expectations that the entire drug supply chain may continue to face pricing pressure even under a Trump administration. The company reduced its 2017 earnings-per-share outlook to the range of $12.35-$12.85 from $13.43-$13.93 previously, and our out-year estimates have been cut accordingly. The long-term may be bright at McKesson as it focuses on innovation and value-added solutions, but the near-term will be weighed down by lower profit contributions from customer pricing initiatives relative to previous expectations. Rivals AmerisourceBergen (ABC) and Cardinal Health (CAH) won’t be immune, and reverberations throughout the industry impacting Express Scripts (ESRX), CVS (CVS), Walgreens (WAG) and Rite Aid (RAD) may materialize sooner than later.